Twice a year we practice our ALICE drill. 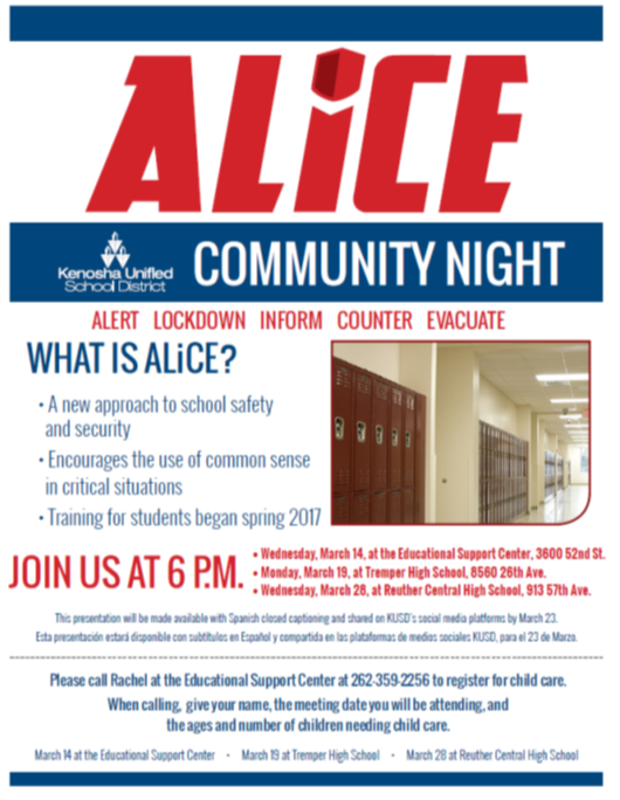 We will be conducting our 2nd ALICE drill for the school year next week. Please take a moment and talk with your child about the drill. We practice our procedures and how to be prepared in case of an emergency. We will send home another notification after the drill has been completed. As always, if you have any questions about this drill, please do not hesitate to contact your classroom teacher or Mrs. Curley. The PTA is holding a Cherydale Fundraiser this year. Order packets were sent home with students on Thursday. Money and forms are due back to school by March 12th. Products will be available for pick up on 3/29 from 2:30 pm -5:30 pm. Funds from this fundraiser help our PTA to put on all of the wonderful events and to purchase computer programs, equipment, and much more for our school! Thank you for your support!